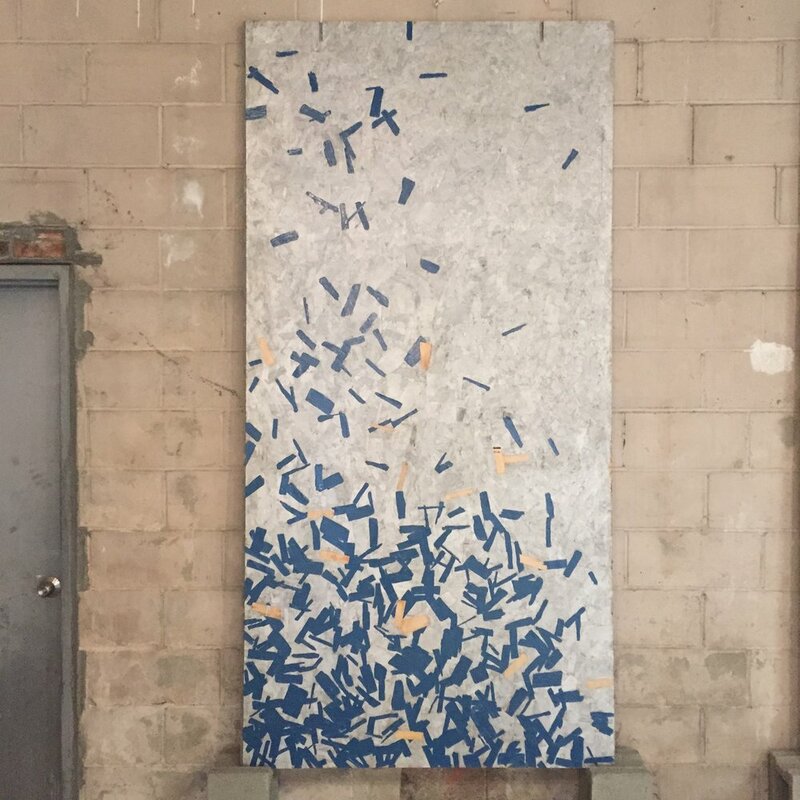 Commenting on these paintings Rucker states, "This work is a continuation of my exploration of construction methods and material, in particular the wooden sheet material OSB (oriented strand board) the most inexpensive and commonly used construction sheathing available. This series of paintings reference construction shed or fences that typically surround work sites, and the paint used to cover them, "safety blue". Chris Rucker is originally from Connecticut, received a BFA from university of Connecticut in sculpture. He has lived and worked in New York City since 1996. He is a partner in a design and build company, his furniture design is represented by industry gallery in Los Angeles.